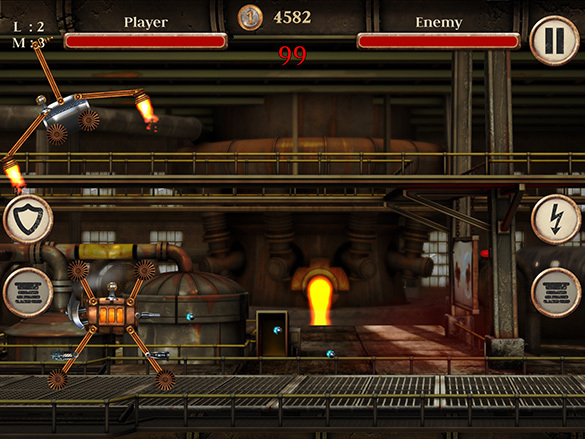 Engines of Vengeance (EoV) is a combat arena game where you build your own combat machine to defeat your opponent. 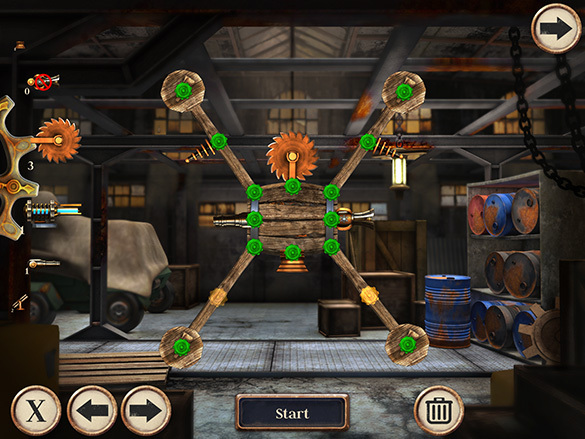 Construct your vehicle with dozens of objects to challenge your opponent. 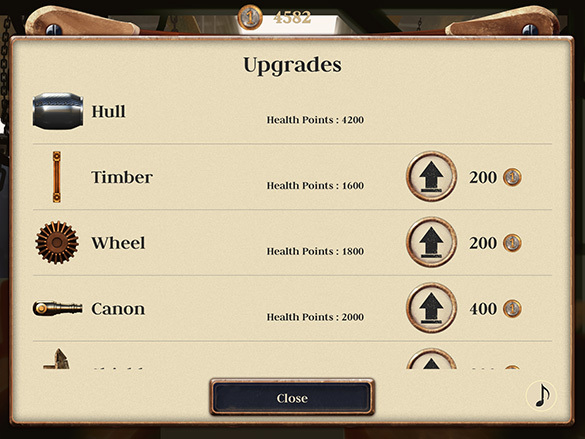 You can play against AI or your friends, win new items and coins to upgrade your equipment. Equip automatic cannons and devastating special weapons to crush your enemy and use shields and heavy armor to survive their counterattacks. Connect via bluetooth or wireless lan to challenge your friends. Destroy enemies and their euqipment to gain Power Packs to upgrade and specialize your own equipment. Gain up to 10 Achievements and share them with your friens via twitter and facebook. Fight deadly enemies on different maps! Find the perfect strategy to your victory! Design and construct your own vehicle in the garage! Upgrade your equipment to crush your enemies! I'm an iOS developer with a passion for computer games and I’m really happy that we have completed our first game project. During my time in the Dark Orbit team I have prototyped several mobile games in my free time and also experimented with the Unreal Engine, box2d, OpenGL ES and cocos2d, which helped me a lot. The whole developing process was very exciting and educational for me. When Chris and I decided to use the name EoV, we bumped into a Heavy Metal Band from Edinburgh who happened to have the exact same name. It’ s totally cool that they provide the background music for the game. Hopefully you’ll have fun playing. Born 1985 in Hannover I studied "Game Design and Game Art and Animation" at the Games Academy in Berlin. Now I am a 3D-Artist at Cipsoft in Regensburg. Serdar and I first met when we were both working at Bigpoint in Hamburg. After we left the company he recruited me to be the Artist of this awesome project and now I am happy to be a part of the EoV team. 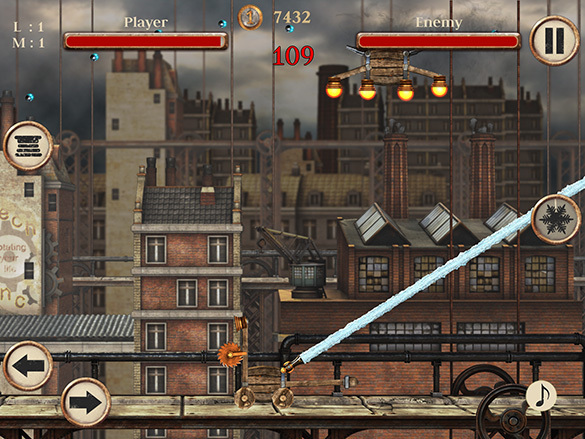 All the music in this game was created by Engines of Vengeance, a four-piece metal band from Edinburgh, Scotland.